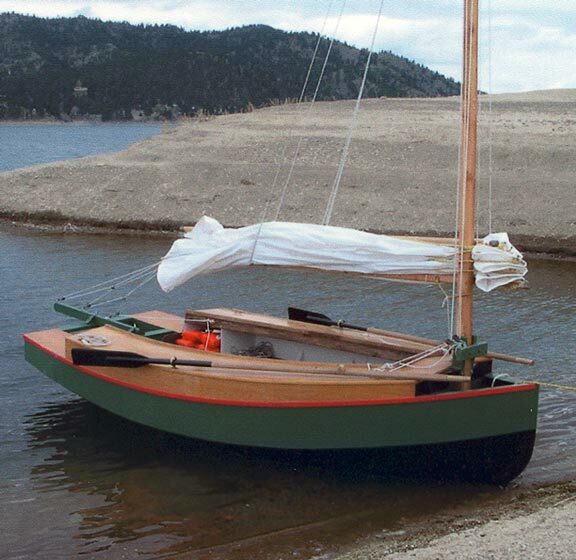 SEAMONKEY is a 15'6" Bolger-designed catboat, that Robert Parish modified for a Chinese junk rig. He lives in Bozeman, MT and launched SEAMONKEY in 40-knot gusts on Canyon Ferry Reservoir in August 2004. 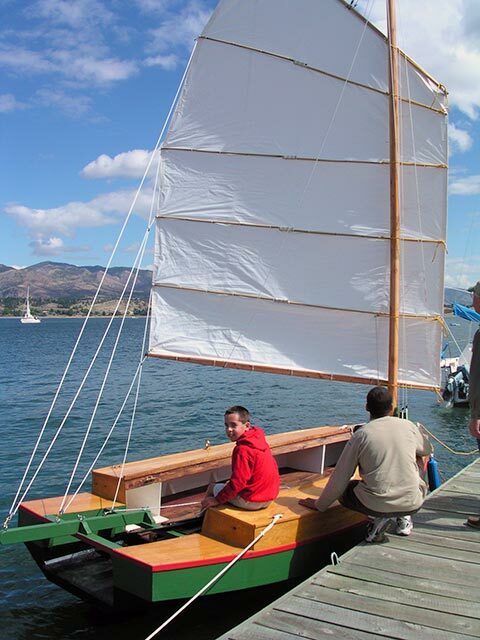 Robert used mostly local materials, with slight modifications to accept the larger mast and sheets of a Chinese lugsail. 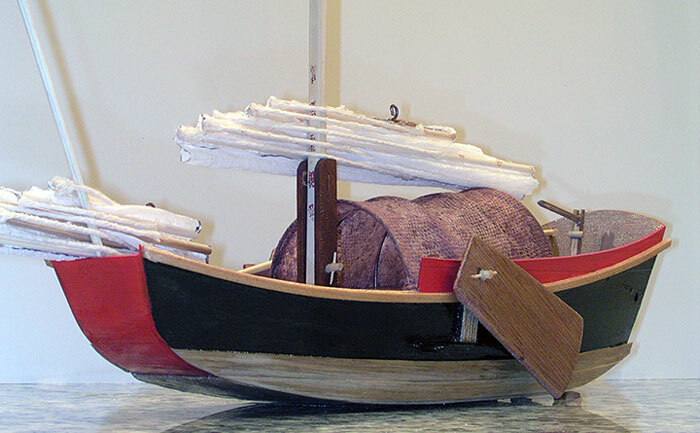 He writes that the rig suits the hull shape well and is easy to handle and sail. Robert plans to use the boat at Lake Yellowstone as Flathead Lake as well as Canyon Ferry Reservoir. Contact Robert at seamonkeyboat@msn.com.